Philadelphia Flyers forward Jori Lehtera is being investigated as a possible suspect in a Finnish cocaine ring. According a Finnish news, Lehtera was questioned by police in Finland about his involvement in the cocaine ring. Seven people are already behind bars in connection to a couple of kilograms of cocaine that began spreading around Finland earlier this year. At this time, Lehtera is one of 23 suspects that may be linked to the cocaine and his cottage was raided earlier this summer in connection to the investigation. 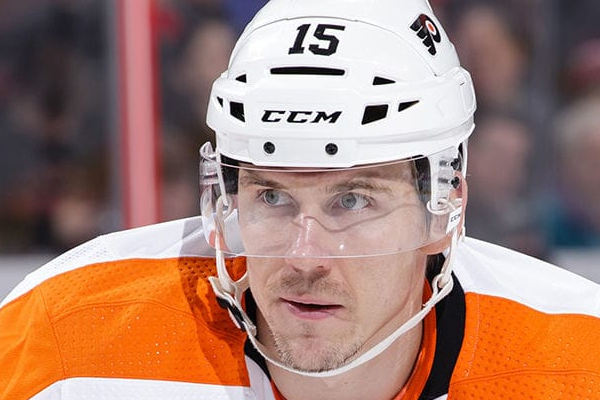 Lehtera has denied any involvement and representatives from both the Flyers and the NHL have addressed the report. “We will be investigating the situation, and will have no further comment pending the completion of that process,” deputy commissioner Bill Daly said in a statement. Obviously, this isn’t an ideal situation for Lehtera to find himself in, especially as he’s trying to survive the Flyers’ preseason roster cuts. His production has quickly declined from the 14-goal, 44-point campaign he put together in his first NHL season back in 2014-15. The veteran is coming off the worst season of his professional career, tallying just three goals and eight points in 62 regular-season games last year. At this time, no charges have been filed against him.